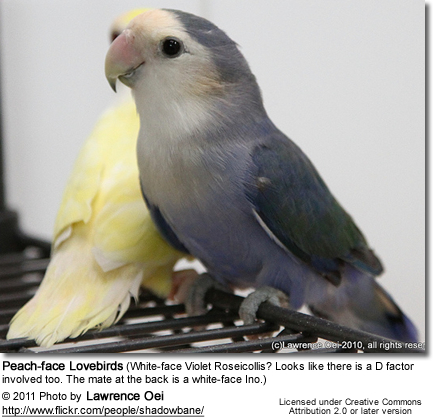 The male has a red forehead, lores and small ring of feathers around the eye.The female has no red markings on the head or eye area. The male has a grey head, back of neck and breast. The rest of his body is green.The female is completely green. The male has a bright orange-red face. His underwing coverts (feathers) are black.The female has an orange in the face, which is not as bright red as the male's. 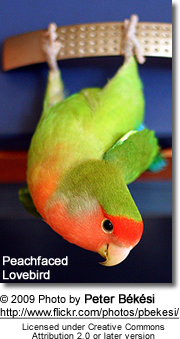 Her underwing coverts (feathers) are green. Natural plumage mostly green (although blue has also occurred in the wild). The head is brown to sooty black. They have a yellow collar around the neck. Natural plumage mostly green. Forehead is bright orange-red, suffusing to dark olive. 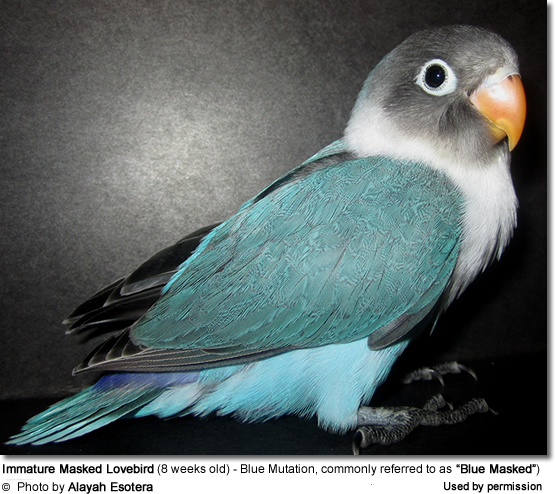 Other color mutations have been bred in captivity. 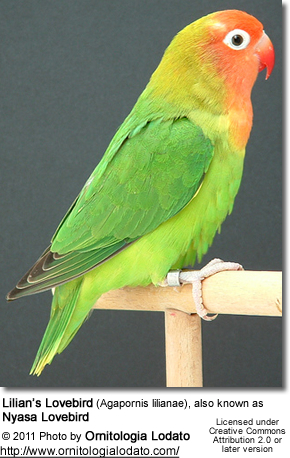 Natural plumage mostly green, but slightly darker than that of the Nyasa, and lighter green on the underparts and rump. The head is brownish-black and the throat salmon-colored. 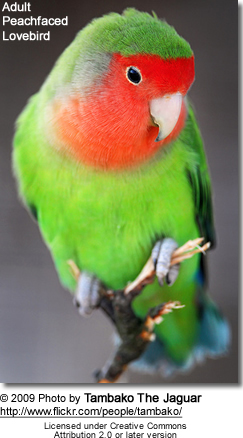 Natural plumage mostly green with a rose-red face. 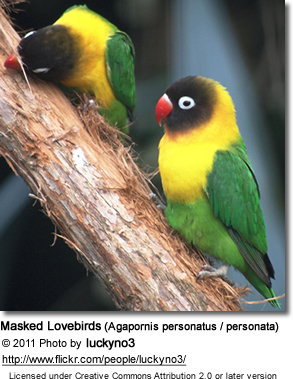 Natural plumage mostly green with a narrow black collar on the nape, with a chrome yellow area below.